The Serene Dreams Bouquet is a sublime arrangement of soft toned flowers. 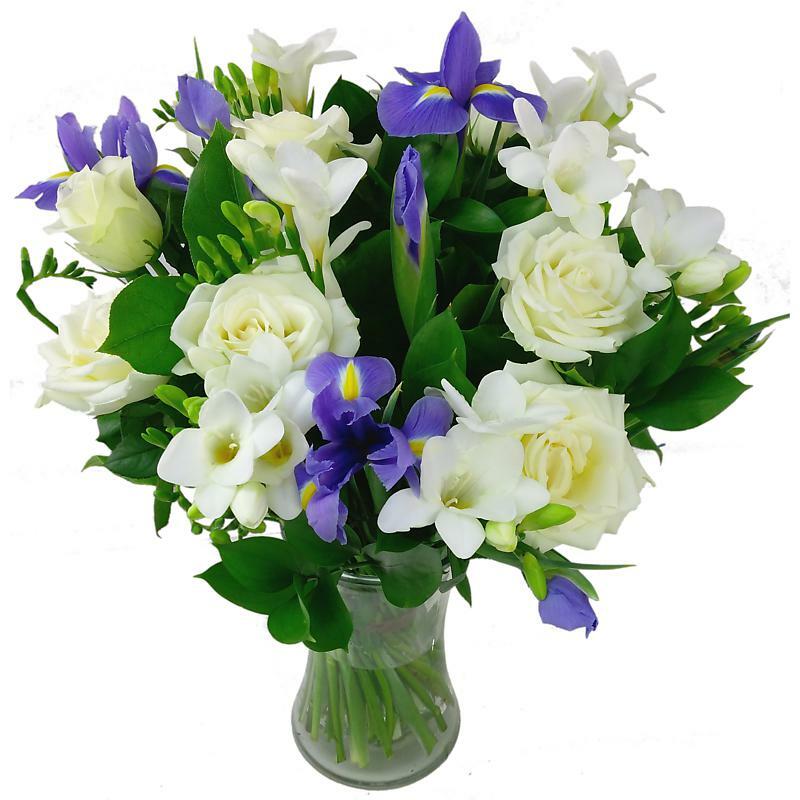 Featuring crisp white roses, white freesia with accents of blue iris upon lush green foliage, this elegant bouquet will be a great highlight to the home. This charming arrangement has been hand arranged by our team of florists to create a surprise gift they'll be talking about for a long time. The bright white and blue blooms are perfectly complimented upon the green leaf backdrop, creating a stunning gift for birthdays, anniversaries or just because! Your fresh Serene Dreams Bouquet bouquet can be delivered 7 days a week throughout the UK in our special delivery box to prevent damage while in transit, so they arrive in excellent condition, all for just £29.99!. We can even include a handwritten card with your flowers for a great finishing touch. For that extra special personal touch, why not add a Handwritten Greetings Card, a delicious box of Lily O'Brien's Chocolates, a chic glass vase or an adorable teddy to accompany your beautiful fresh hand-tied Serene Dreams Bouquet bouquet.